Our Housewarming Party – Food, Drinks and Memories Made! The right party, with the right crowd, at the right time. On May 25, we threw our office housewarming party to celebrate with our friends, partners, clients and team, and it couldn’t have been any better. Right before the party, our UI/UX experts gave a talk as part of Beirut Design Week 2017. The talk was titled “Building Today’s Experiences for Tomorrow’s Habits” and streamed live on Facebook 360 Live Video with the help of ITWorksMe team. Our terrace accommodated us all; we grabbed bites, raised toasts and shared laughs till midnight. Selfies Box set up a booth at our party, and guests enjoyed the props, backdrops and printed photos. All the collected memories are up in a Facebook album on our page; it was indeed a night to remember in our 21 years of operation! The party is the first after our move to Sin El Fil in December, 2016. Our new 1,000sq2 offices are our environment to evolve, and the branding uplift was still rolling out till mid-May, following our new logo and identity: we installed a massive signage that reads Born Interactive from across the street and branded the offices and the whole interior. We would like to use this chance to specially thank Maroun Chedid Catering, Chateau St Thomas, G Vincenti & Sons and The Full Circles who helped make this event a memorable one. 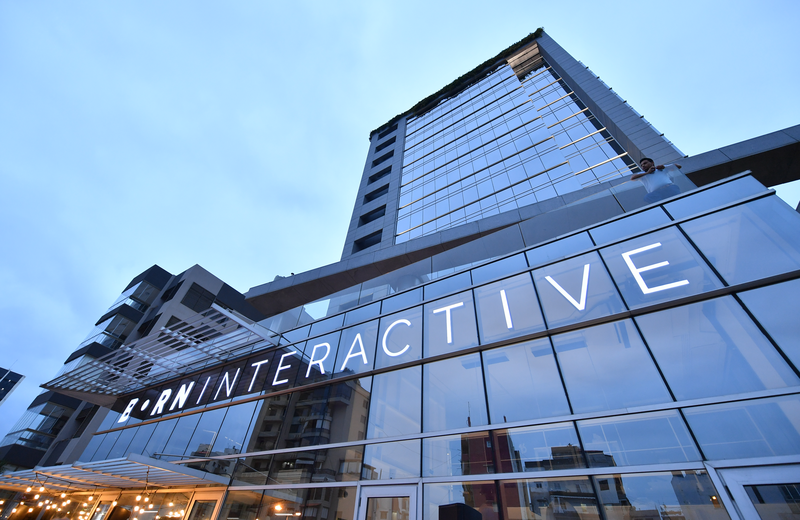 You can always contact us on +961-1-513599 and +961-3-303646, and email us on info@borninteractive.com. For further information about our services, please check our website.